In India, Goddess Durga is treated as the mother God and everyone celebrates the Navratris with much excitement and enthusiasm. 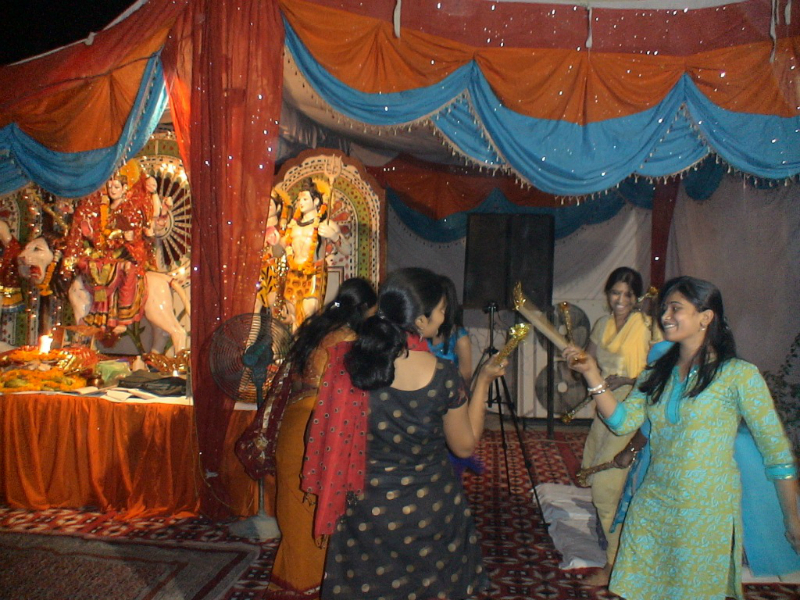 The idol of Goddess durga is placed in the office premises which we call as Mata ki Chowki and every employee offer prayer and pay tribute to the Goddess for keeping them well. 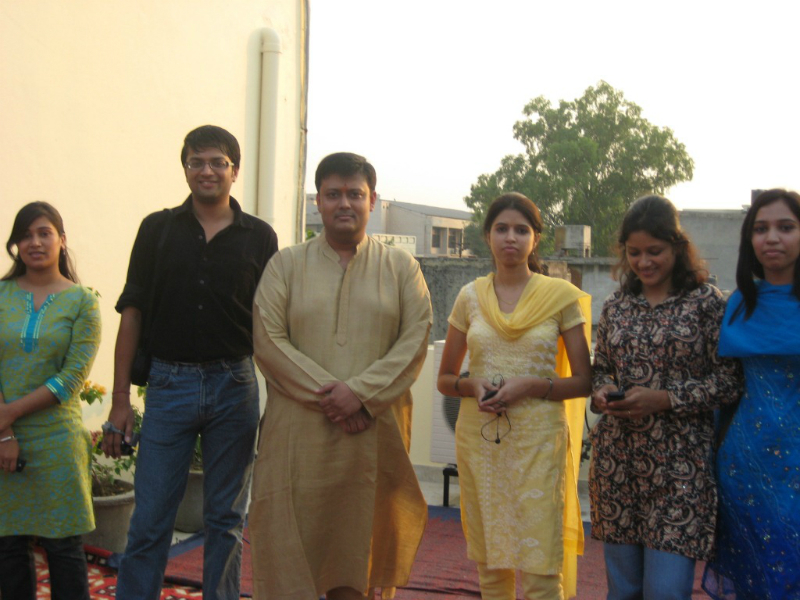 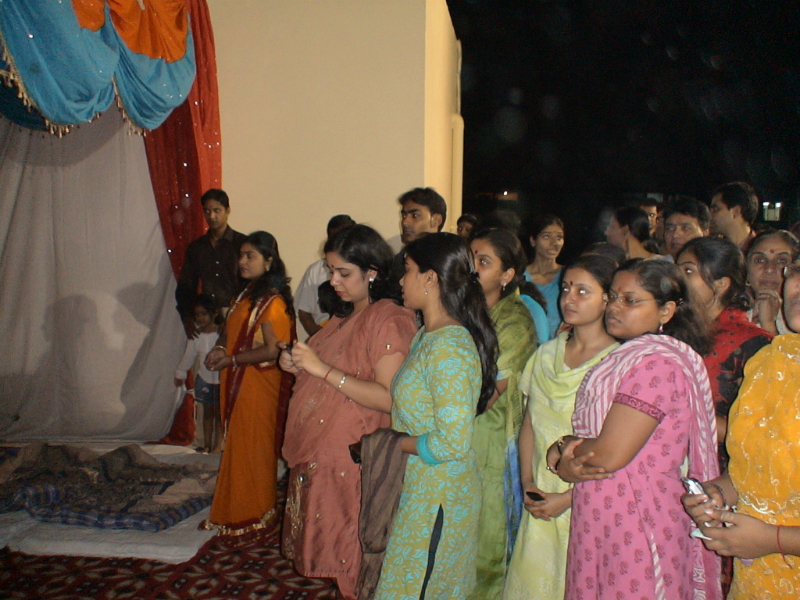 SynapseIndia Founder Shamit Khemka’s religious inclination makes it all possible that he celebrates all the events in office with the SynapseIndia family. 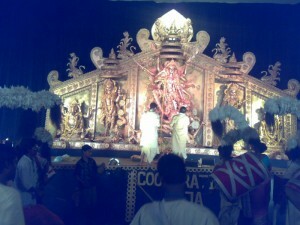 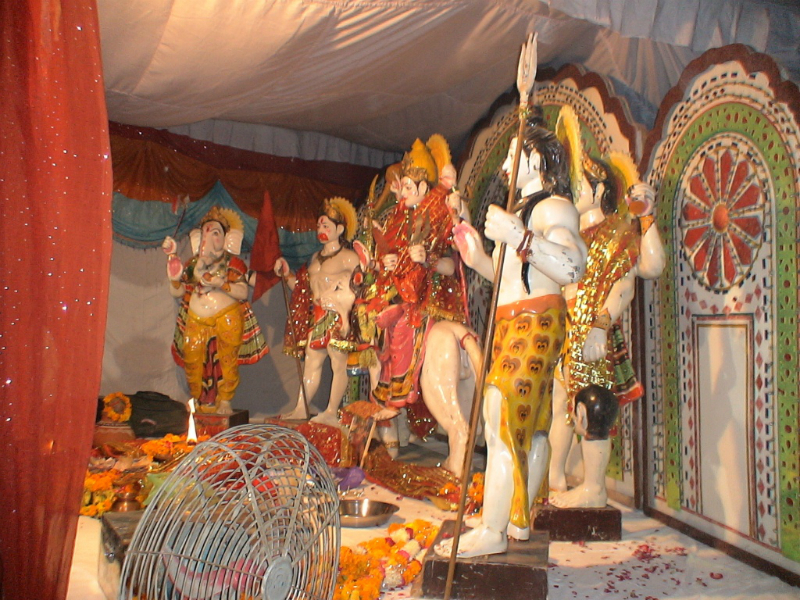 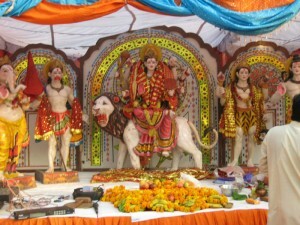 Mata ki Chowki is a religious get together, through Chowkis. 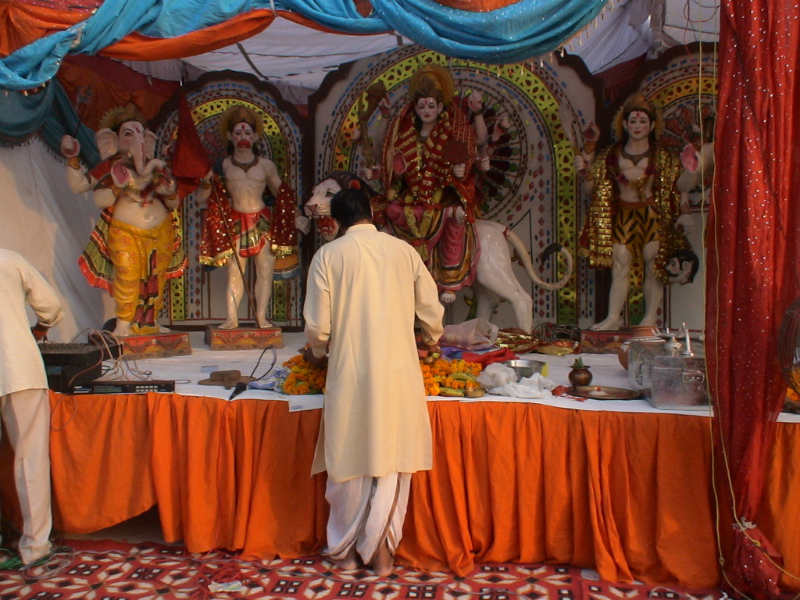 Mata Ki Chowki is short time kirtan which can be performed at any time throughout the day, anytime of the year. 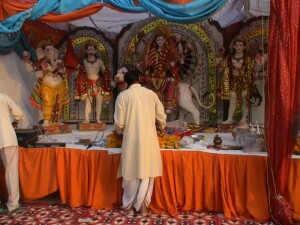 In Mata Ki Chowki, the group preaches about Mata, sings “Jagrata” and motivates devotees all over the world to pay their respects through their prayers. 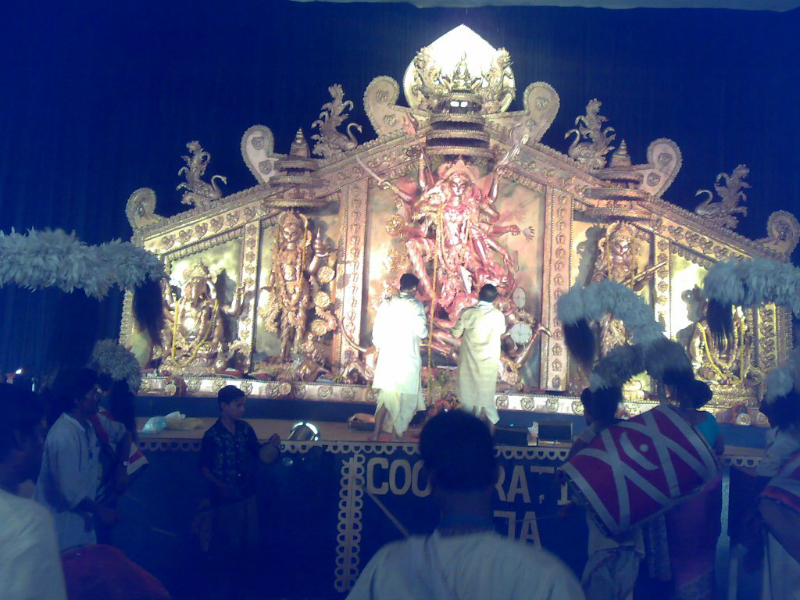 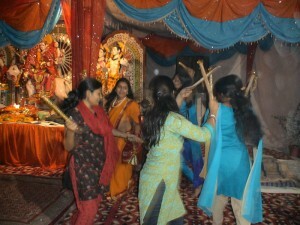 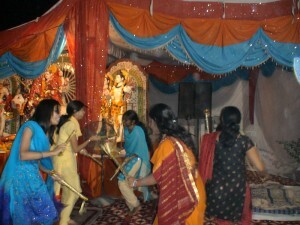 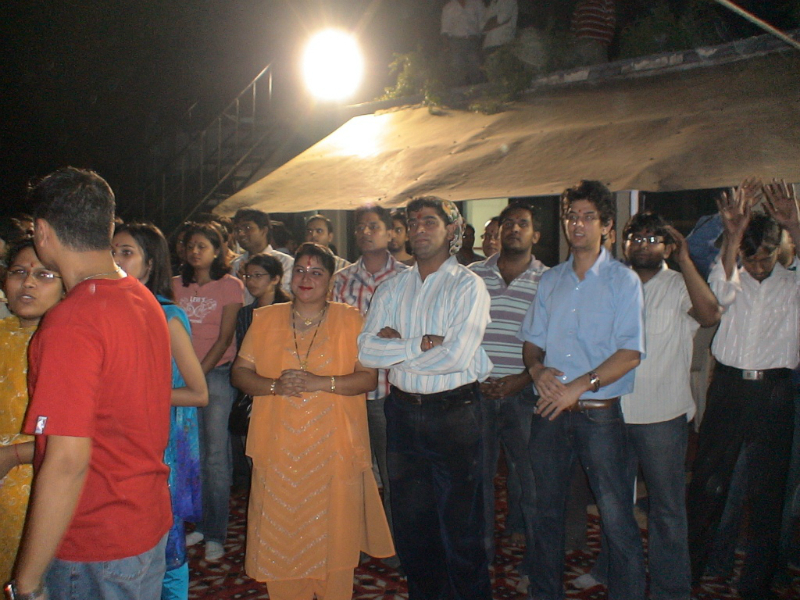 This program can be organised on the happy occasions of Navratri festivals. 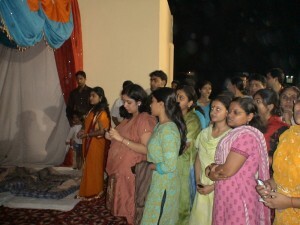 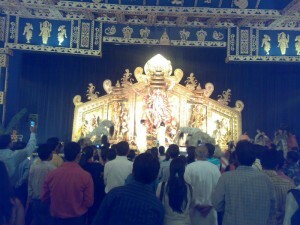 It is a devotional program done during the evening time, for 3 hours on any day between 7:00 p.m and 10:00 p.m. Regular prayers and activities are performed on each day of Navratri, on the 9th Day everyone gathers together for a group prayer offering to Goddess Durga and celebrate the end of festival with colors, sweets, fruits and other edibles. 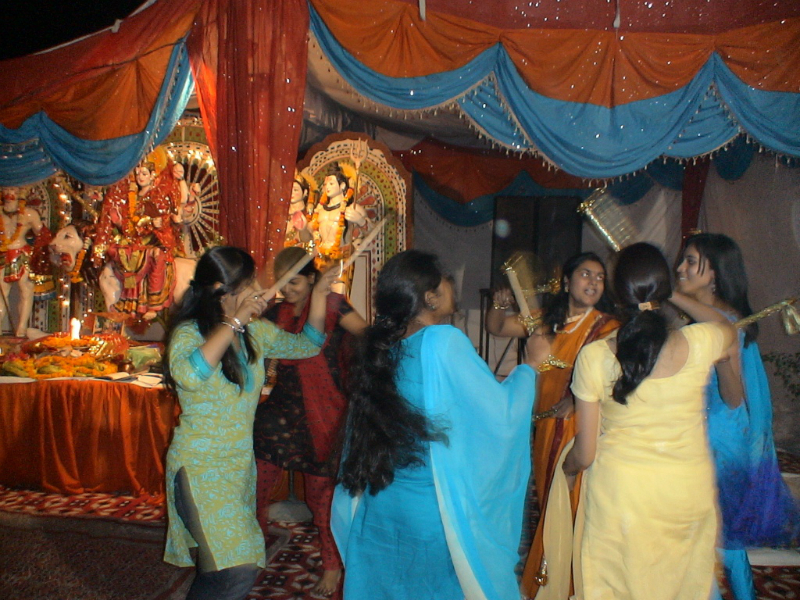 Many employees remain on fast for all 9 days and for those special fast meals are also organized in the pantry to keep themselves energized for the work and save them from energy burn-out.